I stumbled onto hand embroidery quite by accident. I was embroidering little things on my crochet dolls, bears and faeries. As I searched for help to figure out embroidery stitches, I frequently went to Needle N Thread, a great tutorial website. 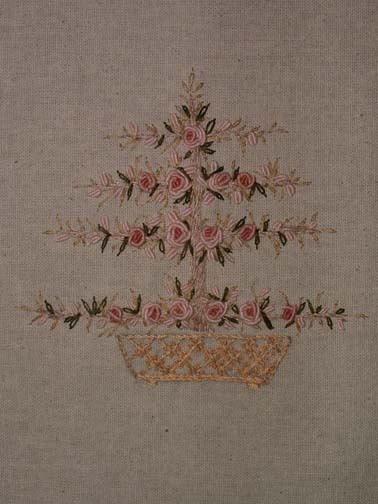 I found myself searching around Mary Corbet’s website and really enjoyed all the tutorial videos that she posts there on embroidery. To solely focus on hand embroidery was certainly NOT something I was thinking about at the time of adding embellishments to any of my dolls, bears or faeries. I blame it all on the bookstore. 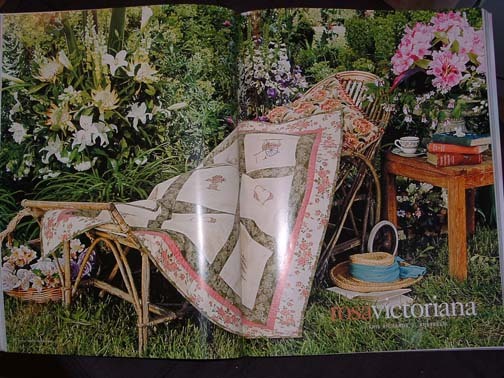 I picked, not the bear that lured me in, but, a quilt block from the Inspirations magazine. It was the first embroidery project EVER for me to try out. I just LOVE it! While excitedly embarking on this challenge, I continuously went back to Mary Corbet’s Needle N Thread website to learn new stitches as they came up in the magazine design. Mary has made my journey into Embroidery Obsession easy and enjoyable. It is because of her that I found embroidery so ‘doable’ and enjoyable. Hi Alicia, i’ve been meaning to make contact, just briefly to begin with,but will write longer when I have more time…I am just wanting to tell you how I love Hawai as I spent a month touring and then settled on Oahou for a family reunion,this was back in 2006. I love your web site and all your needlework. I will look at more another day. i love all the works, beautiful. It is my first view of the site. Love that tree with ribbon. I lately been doing some embroidery in heirloom baby clothes. I look all over de internet for new designs, tiny flowers for babies. but nothing came up. I have many if some body wants to share, i like to do that.